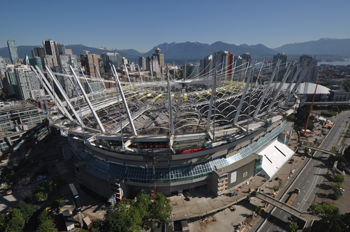 The BC Place Revitalization, in Vancouver, British Columbia, was recently named Outstanding Project in the Forensic / Renovation / Retrofit / Rehabilitation Structures category of the 15th annual National Council of Structural Engineers Associations (NCSEA) Excellence in Structural Engineering Awards. Steltec Inc., out of Ste-Thérèse, Quebec, detailed the project using SDS/2. The stadium project, which included a new retractable roof and increased seating, featured a complex suspended structure and rolled arches, all with different radii and length. The retractable roof is the biggest of its kind in the world. The purpose of the awards program is to recognize creative achievement and innovation in structural engineering. 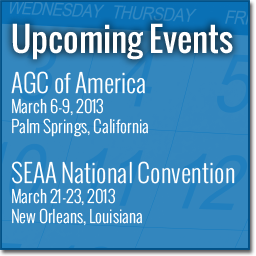 In March, Design Data will be exhibiting at the AGC of America Annual Convention, March 6th through the 9th in Palm Springs, California, and the Steel Erectors Association of America (SEAA) National Conference, March 21st through the 23rd in New Orleans, Louisiana. The 94th annual AGC convention features a program that will focus on innovative ways to grow your business, with an emphasis on doing more with less. The SEAA conference will focus on bringing business value to your organization, including more educational content and greater networking opportunities. SDS/2 Connect, AISC Approval Seminars in Feb. The latest round of SDS/2 Connect seminars are coming to Portland, Oregon, on February 5th and Atlanta, Georgia, on February 19th. 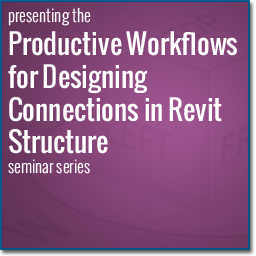 The seminars educate engineers, detailers and general contractors (GCs) about how they can use the SDS/2 Connect add-in for Autodesk® Revit® to their best advantage. The seminars are held the day prior to AISC's Shop Model Review and Approval seminars. To learn more about how you can receive discounted SDS/2 software for attending the SDS/2 Connect seminars, contact Michelle McCarthy. 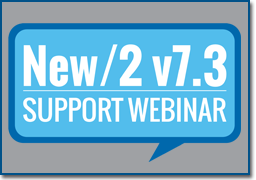 Beginning in February, Design Data will begin a series of webinars to educate users on the new features in SDS/2 v7.3. These basic-to-intermediate webinars will provide users with a step-by-step tutorial on new features and enhancements. The webinars will be held every other Tuesday at 10:30 a.m. Central, beginning February 12th. The first webinar, Touring the New Main Menu, will cover features of the new main menu, including PDF Drawing Export and Project Transfer; the Utilizing Reference Drawings and Model Notes webinar will be held February 26th. 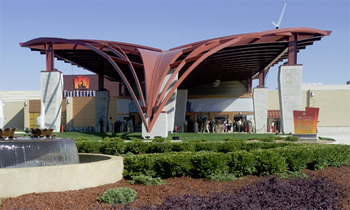 For the recent expansion of the FireKeepers Casino Hotel in Battle Creek, Michigan, Douglas Steel Fabricating Corporation used SDS/2 to model the building's signature bird's beak porte cochere, constructed of curved members. The structure is fabricated from HSS20x12x1/2 rolled to a 116-foot, 5-inch radius on the perimeter, with HSS16x8x1/2 rolled to a 99-foot, 9-inch radius for the top chord and a 99-foot, 2-inch radius for the bottom chord of the center truss. To learn more about this unique structure, including how BIM help facilitate the overall project's success, read the February 2013 issue of Modern Steel Construction.